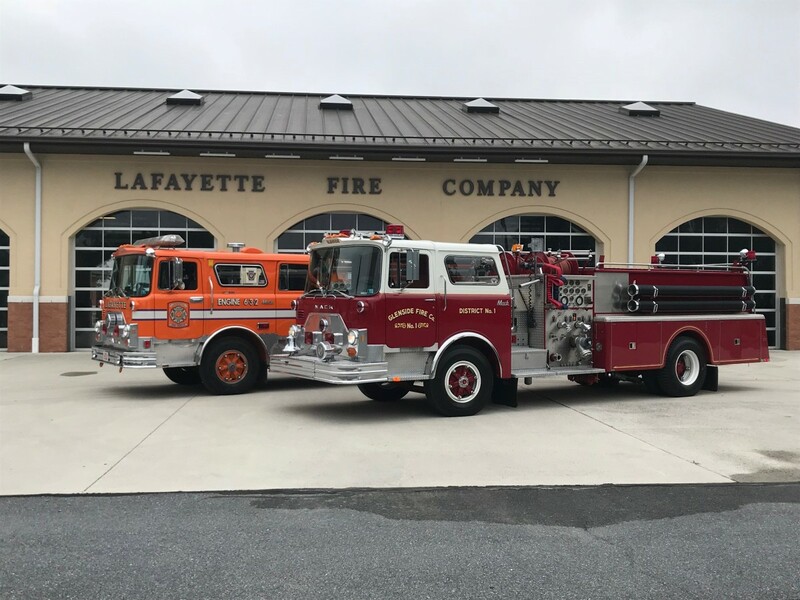 Earlier this week, the LFC was contacted by the Glenside Fire Company (outside of Philadelphia) with a small favor to ask. 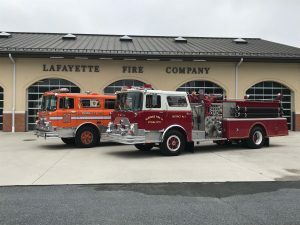 One of their members was getting married in Lancaster on Saturday and their beautiful Mack pumper was to be a part of the wedding. They had someone that could drop off the rig for the celebration but they could not come back to get it until Sunday. 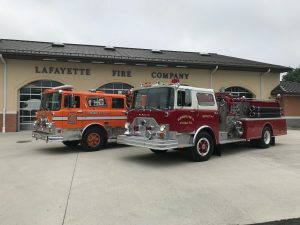 So, Glenside FD asked we could house the engine overnight for them. We were happy to be able to help! 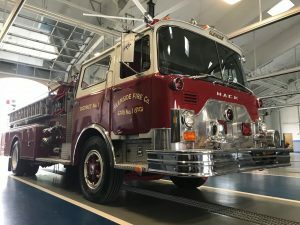 It’s been quite a long time since our ‘78 Mack and the old ‘86 Mack ladder sat nose-to-tail in the former fire house. It was neat to see two Mack CF units under one roof again, even if one of them isn’t orange. We like to compliment the members of Glenside Fire Company on the condition of this unit. For being an older rig, it is in mint condition. Well done!